A senior NHS consultant has warned that “racist” immigration policies out in place by the UK Tory Government are cutting off the supply of highly-trained doctors from North-east hospitals and harming patient care as a result. NHS Nephrologist, Dr Izhar Khan said the flawed spousal visa system, designed by Prime Minister Theresa May when she was Home Secretary, is forcing non-EU nationals to leave the UK if their relationship ends. This means that highly-trained health professionals are being forced to leave the UK and reapply for a visa while their jobs are re-advertised. If the post is not filled by a UK or EU national, the non-EU applicant will have to interview for their own job again. harming patients who have operations cancelled or delayed as a result. “It’s plain and simple – Theresa May’s ‘Britain first’ mantra is a danger to the North-east health service and its patients. “The Tories’ hostile environment seriously risks harming patient care across Scotland by cutting off the supply of highly-skilled doctors, and in the worst cases, chucking them out of the country for no good reason at all. “It is completely surreal that on the one hand the Tories bemoan staff shortages in the NHS, whilst on the other, they are actively deporting valuable NHS workers. “The number of doctors and nurses in Scotland’s NHS has risen to an all-time high under the SNP, with more than 12,000 additional staff since 2007. But the Tories are jeopardising that success with their extreme Brexit plans and sheer intransigence over immigration. Banffshire and Buchan Coast MSP has praised the work of the night watchman at Macduff harbour who helped save a man who got into difficulty swimming. The incident comes just a year after Aberdeenshire Council abandoned plans to axe the night watchman role. Last year, the local authority revealed it wanted to scrap the nightwatch service in a bid to cut costs. But there was outrage in the local community and fears were raised it could leave vessels unprotected in the evenings. Mr Stevenson said the actions of the watchman had made it clear how important retaining the service has been. “It was made clear last year that the removal of the night watchmen would be incredibly detrimental to Macduff harbour. “The situation involving the man could have had a tragic outcome and the incident highlights why this service is required. A survey calling for North-East residents to have their say on a notorious stretch of road has been backed by Banffshire and Buchan Coast MSP Stewart Stevenson. It comes after concerns were highlighted by Aberdeenshire East MSP Gillian Martin after a number of constituents raised fears over the road. Now Mr Stevenson has backed calls for people to respond to the survey on how safety can be improved on the A947 between Aberdeen and Banff. The route has been the scene of more than 20 fatal crashes since 2005 and multiple crashes over the years. Last month, 53-year-old Marek Walowski from Macduff was killed when his car hit a tree outside King Edward Parish Church. A route improvement strategy for the road was published in 2016, which listed 20 options for improving the 41-mile road, including introducing overtaking lanes, increasing police speed limit enforcement and building bypass roads around some communities in the area. Mr Stevenson said a particular hotspot was Plaidy in his constituency where there had been a number of incidents in recent years. “The A947 stretch of road has been a serious concern for many years for drivers across the North-East. “While work by Aberdeenshire Council is ongoing, this survey will make an important contribution, providing much needed information about some of the factors which cause danger along the A947. “I know from experience the Plaidy area in particular is an area plagued by potential risk for road users. 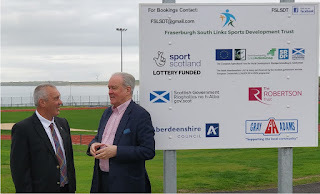 Banffshire & Buchan Coast MSP Stewart Stevenson took time out after his surgery in Fraserburgh today to drop by the South Links Sports Development to have a look at progress. The South Links is the site of a new £1.2million sports facility consisting of a new running track, football pitch and an all-abilities cycle track. The project – which is led by local volunteers – has been backed by £455,000 from the Scottish Government, as well as EU funding, lottery money and support from local businesses. “I was pleased to be able to take time out between surgeries to drop by and see the progress on this latest renewal project in Fraserburgh. “As well as providing some really first-class facilities, this project serves as a good example of the local community working in partnership with various funders, including the Scottish Government. 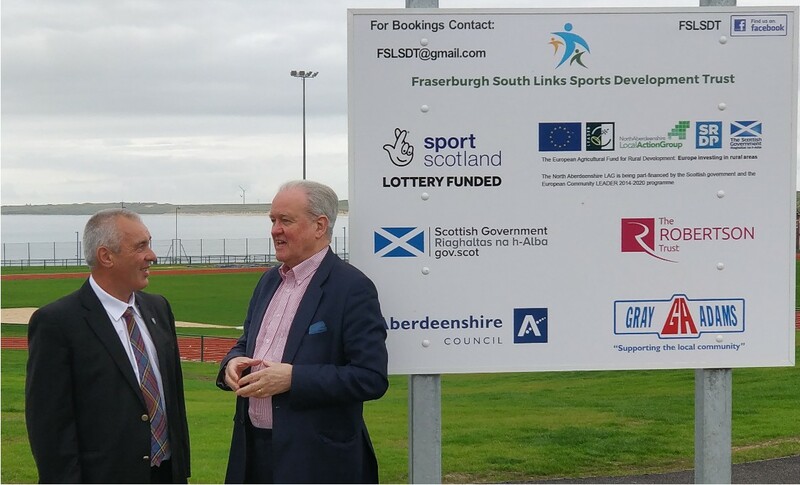 “I was pleased to be able to update Stewart Stevenson on the South Links Sports Development and other regeneration issues in Fraserburgh. The SNP’s Stewart Stevenson is calling on the UK government to better incentivise business to reduce their waste and take more responsibility for the environmental impact of their practices. Regulations over the amount of packaging and materials used in the delivery of goods as well as recycling those materials are set at a UK level, in the Packaging (Essential Requirements) Regulations 2015 and the Producer Responsibility Obligations (Packaging Waste) Regulations 2007. However, waste is devolved to the Scottish Parliament, and waste packaging and product regulation are set to be included in the Tory power grab on the Scottish Parliament’s powers after Brexit. 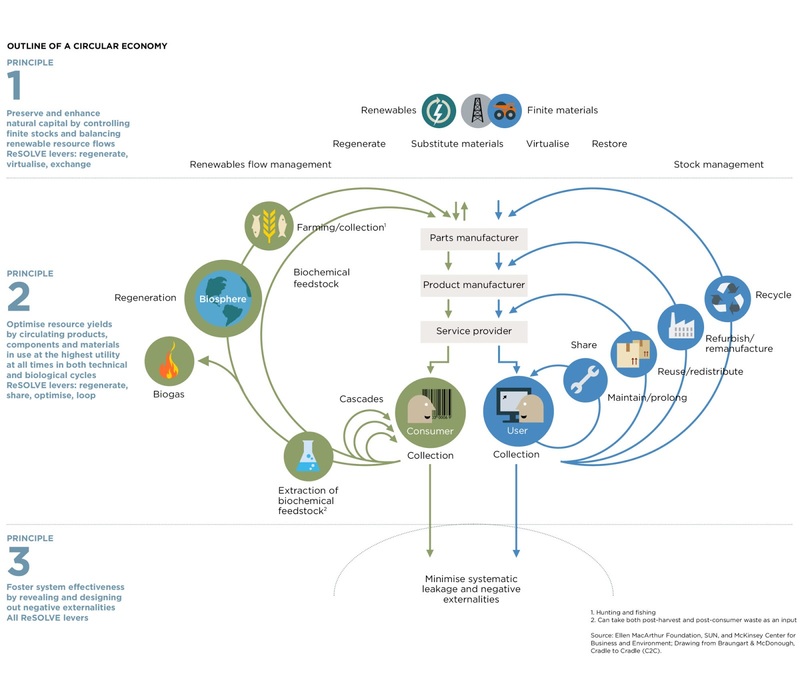 The European Union Circular Economy Package, adopted in January 2018, proposes economic incentives for producers to put greener products on the market and support recovery and recycling schemes, for example for packaging, batteries, electric and electronic equipment and vehicles. “The waste hierarchy is thus - reduce, reuse, recycle. In that order. But the Tories aren’t prioritising the first bit. “Big companies often try to put the focus on consumer behaviour – don’t litter, recycle your waste. “But the cost of recycling shouldn’t be the sole responsibility of councils, the devolved administrations and the consumer. “We need producers across the UK to innovate and stop creating so much needless packaging – but they’ll only do that if it reduces their own costs. “That’s why I’m calling on the Tory government to adopt more environmentally friendly regulations around packaging and production methods. Banffshire & Buchan Coast MSP Stewart Stevenson spent time this week visiting a range of businesses and projects in Banff and Macduff as part of the Scotland’s Towns Partnership scheme, which supports the Scottish Government's ongoing commitment to secure a positive future for towns such as Banff, Macduff, Fraserburgh and Peterhead. 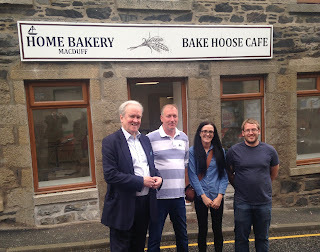 The visits, facilitated by Aberdeenshire Council’s Economic Development team, included local businesses which had recently invested in upgrades, as well as businesses and projects supported by regeneration funding and helping take forward the Scottish Government’s vision for town centre improvements. 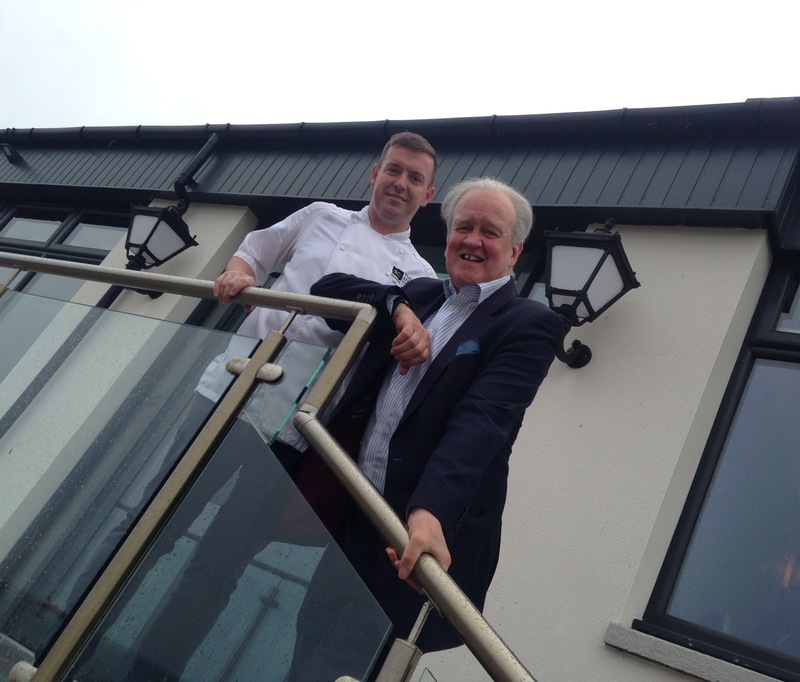 The Knowes Hotel in Macduff, run by local couple Wayne and Linda who briefed the MSP about their work as a new business which is independently run and which they have recently extensively refurbished and extended. Deveron District Age Concern, which was awarded a grant from the Macduff Property Grant Scheme for exterior renovation work to their premises. The group provide support and help to the local community by providing a wide range of initial senior citizen information and support services. Macduff Harbour, which was awarded funding from the European Maritime & Fisheries Fund and Aberdeenshire Council for a new ice machine. The Home Bakery Macduff, which has received support from Macduff Small Grant Scheme and is due to open in the coming months. Banff Silversmiths, which is due to open in the next few weeks which will house an operational silversmiths in a new partnership with Aberdeenshire Council. 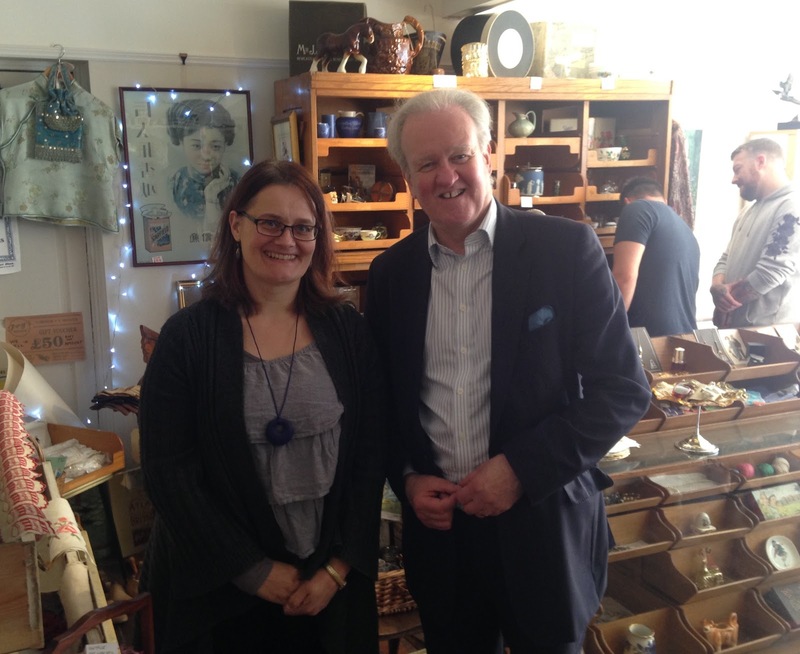 Ivy’s Emporium on Bridge Street, an independently owned vintage shop part of CAVA – Craft, Art, Vintage and Antique collective - working with others as part of the Enterprise Challenge Fund with support given by Aberdeenshire Council. “This was a very useful and informative visit and I’m grateful to the businesses and projects involved for hosting it and to the council for arranging it. “There was a good mix of commercial enterprises, charities and social enterprises stepping up with assistance to rebuild living breathing town centres which are attracting a new generation of visitors. “The Scottish Government’s ‘town centre first’ principle is a key tool in helping local enterprises in our towns, backed by the local regeneration partnerships in Banff and Macduff and external funders such as the European Maritime and Fisheries Fund. “It was also good to meet businesses which had decided to invest in the area, giving a real boost to the local economy and I was delighted to see and hear how well they are doing. Efforts from the British Heart Foundation, Microsoft and NHS Scotland to create a new public map of defibrillators across the country will be vital in saving lives, local SNP MSP Stewart Stevenson has said, after plans for the public map were announced. With many communities across the North-east taking the initiative to raise funds to install a public-access defibrillator, Stewart Stevenson has welcomed the news that proposals for public mapping of the defibrillator network are being taken forward. “I welcome this development and initiative and I am pleased that Scotland will be included in the initial trial phase. Banffshire & Buchan Coast SNP MSP Stewart Stevenson has condemned Royal Bank of Scotland bosses for announcing they will be paying out a dividend to shareholders – its first for ten years – after axing a string of local branches. The Royal Bank, which is still substantially-owned by the taxpayer, axed branches in Buckie, Banff and Turriff, as well as removing the Mobile Bank service from Cullen and Aberchirder last year. The Conservative UK Government still owns around 62 per cent of the shares in RBS but repeatedly refused to intervene to save any of the branches earmarked for closure. “The announcement that RBS is to pay out a dividend after another brutal round of branch closures will come as a slap in the face to customers. 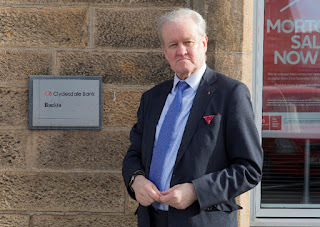 “As I have highlighted recently, one solution to the problems created by bank closures is a community banking hub as proposed in a recent study for Highlands and Islands Enterprise. If just half of the planned dividend payout of 2p per share had instead been put towards that and matched by the other banks, that relatively small sum would have seen a transformation across our now ‘unbanked’ communities. Farmers are being encouraged to share their views on the future of rural funding in the event of the UK leaving the European Union. Banffshire and Buchan Coast MSP Stewart Stevenson said with the UK government continuing to progress plans to leave the EU the Scottish Government is making preparations for the impact of Brexit on key sectors such as agriculture. The First Minister has previously said Scotland’s interests are best served by the UK remaining in the single market and customs union. In June, the Scottish Government launched a consultation which set out proposals to stabilise and simplify income support for rural communities in Scotland during the period immediately after Brexit. “The rural economy is vital to Scotland’s economic prosperity but Brexit remains the biggest threat to the industry. “At the moment, farmers in the North-East and across Scotland, receive valuable support from the EU. “The paper produced suggests that in the short term there should be support schemes for active farming, food production, environments improvements, forestry and rural development. Banffshire and Buchan Coast MSP Stewart Stevenson has welcomed a six-figure sum to support Quality Meat Scotland’s 2018 Scotch lamb promotional campaign. The announcement was made by the First Minister Nicola Sturgeon as she attended the Turriff Show alongside Mr Stevenson and his fellow North-East MSP Gillian Martin. The sheep sector plays a significant part in Scotland’s red meat industry, which is worth £892 million to Scotland. “I’m delighted the First Minister came to the Turriff Show to make this important announcement. “Lamb is an excellent product and part of an important ecosystem that keeps our countryside tidy and attractive. “The announcement by the First Minister of additional funding for Scotch Lamb marketing is great news for our lamb producers. Banffshire and Buchan Coast MSP Stewart Stevenson has welcomed an announcement the National Concessionary Travel Scheme will be extended. It comes after the Cabinet Secretary for Transport, Infrastructure and Connectivity Michael Matheson said the scheme would now also include companions of eligible disabled children aged under five. The move could result in more than 3,000 families and children additionally benefitting from the bus pass. Additionally, Mr Matheson announced that the age of eligibility will not change for the National Concessionary Travel Scheme and that the options to provide free bus travel for Modern Apprentices will continue to be considered. The consultation on the scheme closed in November 2017, with nearly 3000 responses received from people and organisations all across Scotland. Two thirds of respondents felt that that the free bus pass should remain available from the age of 60. A similar number of respondents felt that Modern Apprentices should benefit from free bus travel, and an overwhelming number of respondents were in favour of providing companion cards for eligible disabled children aged under five. “I am pleased this extension to the bus pass has now been made. 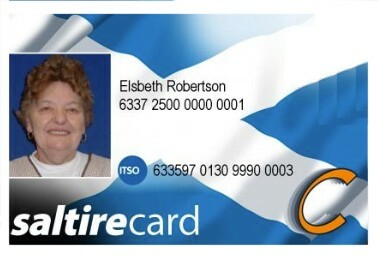 “The bus pass is a benefit that many people enjoy and use as part of their daily lives and the concessionary travel scheme enables independence, accessibility and social inclusivity. A study into the importance of local banking services in rural areas which recommends a ‘whole system response’ to meeting the banking needs of communities and businesses could show the way forward according to local SNP MSP Stewart Stevenson. The study was commissioned by Highlands and Islands Enterprise (HIE) amid a growing trend of rural bank branch closures. The report says banking facilities need to be understood as core to local community infrastructure. It added that there is a disconnect between local bank closures and efforts to strengthen and grow local economies. Access to cash remains fundamental to the viability of small retail businesses, prominent in rural areas. This is especially in relation to tourism, where successes in generating income within fragile communities could be hit by the loss of access to cash via local banks. “The recent round of bank branch closures we’ve seen have started hitting large towns, such as Fraserburgh, Buckie and Banff that most people would have assumed were safe from such closures. “Online banking, Post Office banking and mobile bank vans go some way to providing alternatives but can only go so far. One of the recommendations of this report is a “collaborative approach” to ensuring communities are not “unbanked”. This would involve a range of partners including the banks, the Post Office and local authorities in a service point-type provision which would ensure that a physical presence remains within communities. Banffshire & Buchan Coast MSP Stewart Stevenson has asked Rural Affairs Secretary Fergus Ewing to consider a relaxation on rules on ‘green manure’ crops to assist with the fodder shortage currently being experienced. The MSP raised the matter with the Cabinet Secretary after meeting farmers at New Deer Show last week. The Scottish Government has also today met with stakeholders from the farming industry including Scottish Beef Association; Agricultural and Horticultural Development Board (AHDB); Scottish Agricultural Organisation Society (SAOS); Scottish Machinery Ring Association; Scotland’s rural charity RSABI; Scottish Dairy Hub; Maltsters Association of Great Britain; Agricultural Industries Confederation (AIC); NSA Scotland; Scotch Whisky Association; SAC Consulting and Quality Meat Scotland (QMS). “There are severe challenges facing farmers at the moment as a result of the wet winter and spring and now an exceptionally dry summer. The UK Tory Government has been criticised for its plans to replace the €1 billion European Structural and Investment Funds, currently distributed by the Scottish Government, with a UK Government-controlled 'UK Shared Prosperity Fund' which will merely “engage” with devolved administrations after Brexit. The European Structural and Investment Funds, being the European Regional Development Fund (ERDF) and the European Social Fund (ESF), help a wide range of projects including initiatives to address poverty, improve infrastructure and the environment and tackle pollution across Scotland. The announcement, made by UK Tory Government Secretary of State for Housing, Communities and Local Government James Brokenshire MP, has been heavily criticised by third sector organisations and the SNP, as new evidence of a Tory power grab on Scotland. “The SCVO has been consistent in our position that powers returning to the UK from the EU should be devolved so that Scotland’s needs can be considered and reflected in decision-making. “European Structural Funding has helped to create employment, build roads and infrastructure and help tackle unemployment in every corner of Scotland – particularly in some of our most remote communities. “To replace this with a system administered entirely by Westminster, instead of here in Scotland, would be completely unacceptable. 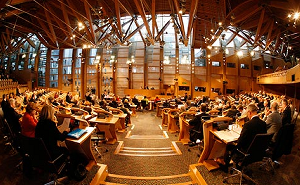 The European Structural and Investment Funds scheme is currently handled by Scottish ministers. Money is allocated on a six year basis with the 2014 to 2020 funds for Scotland worth €476 million and €465m respectively. Deputy First Minister John Swinney MSP has called for the devolution of migration powers, following a massive fall in the number of European Union (EU) citizens choosing to join the education workforce in Scotland, as insecurity surrounding the UK’s impending departure from the EU grows. The most recently published figures by the General Teaching Council for Scotland (GTCS) show that only 14 EU teachers from six nations have applied for registration so far in 2018, a dramatic decline compared to the 186 received last year. The starkness of this contrast is further illustrated by the fact that over previous years, there had been a steady upward trend from 128 applications in 2015, to 159 in 2016 and 186 in 2017. “Scotland voted clearly and decisively to remain within the European Union and we have repeatedly demonstrated that this is the best option for Scotland’s future. “Last year we had citizens from almost every EU member country applying for GTCS registration but, so far this year, citizens from just six countries have applied to live and work in Scotland. The GTCS - the independent body that registers teachers - has made plain that Brexit is driving this slump. “Once again this underlines the clear case for the SNP Government, accountable to the Scottish Parliament, to set the rules for a migration system tailored to meet the country’s needs. “Scotland has differing needs and wishes to England and as such, requires a system tailored to meet Scotland’s requirements. We need EU-citizens with the appropriate skills to come and strengthen our workforce. Latest fears of delays at Hinkley Point where the world’s most expensive nuclear power station is being built, are likely to lead to increased costs for the billpayer, the SNP has said. Industry reports suggest that EDF, in charge of developing a new nuclear power plant at Hinkley Point, has been forced to delay energy generation at other sites in Europe due to significant plant problems, likely to affect their UK developments too. This latest warning over the beleaguered Hinkley project comes in addition to the fact the cost of the new plant is already three times over budget - and rising. Hinkley’s ‘strike price’ is already guaranteed to be higher than prices for other energy sources, meaning big increases in electricity bills for consumers. French power utility EDF announced that there will be further delays and cost overruns at its Flamanville nuclear site in France. The start-up date for the Flamanville 3 reactor has now been pushed back to the second quarter of 2020, having originally been slated for 2012 when construction began in 2007. The revised cost estimate of 10.9 billion euros is now three times the original budget. There is now serious doubt over whether a new nuclear power station at Hinkley Point can be built by 2025, or within the £20 billion revised budget which is already set to impact upon consumers’ energy bills. Costs running even further above this exorbitant rate will mean further pain for bill payers. These latest fears over Hinkley and the expensive energy it will produce comes just one week after the Tories announced plans to scrap feed-in tariffs for renewables projects from next year. The SNP has reiterated its calls for the plug to be pulled on Hinkley and the billions saved to be reinvested in green energy. “Hinkley Point is a complete white elephant; it is already significantly delayed and well over budget. I would be flabbergasted if all these delays and complications didn’t lead to a massive increase in the initially estimated costs. If the project ever becomes operational. “The biggest tragedy is that this saga is only one of many symptoms of how out of touch the Tories are with their energy policy. “With one hand they cut support for the clean industries of the future, like the Peterhead CCS scheme, while with the other they continue to throw money at this project which was racked with problems before it got off the drawing board.